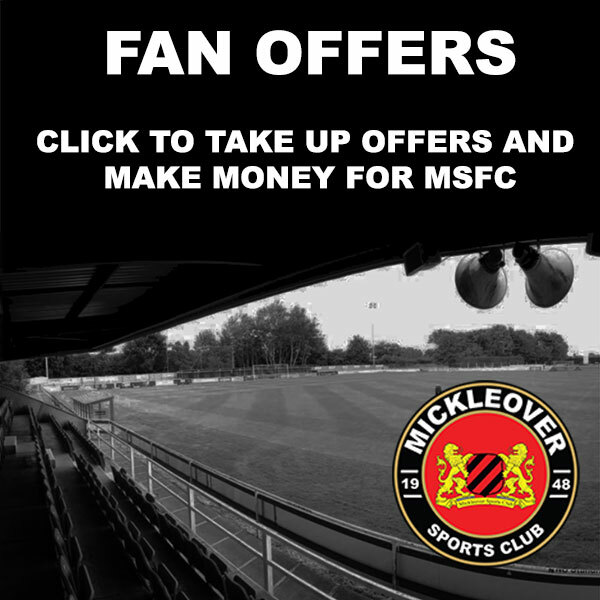 Mickleover Sports are looking for talented, committed and ambitious local footballers currently in Year 11 who wish to join a semi-professional academy in the Evo-Stik League where they will #Study, #Train and #Play full time after leaving school in 2019. 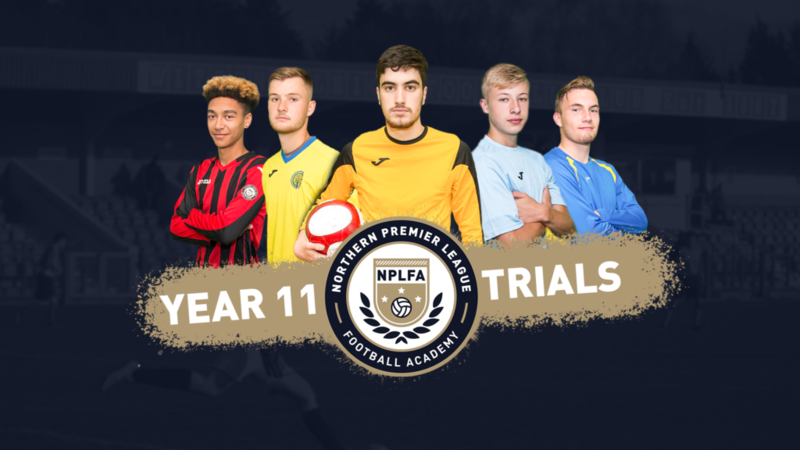 Our students study for a BTEC in Sport qualification (Level 3), train every day with an UEFA qualified coach and play in the NPL Football Academy League with opportunities to play in the FA Youth Cup. 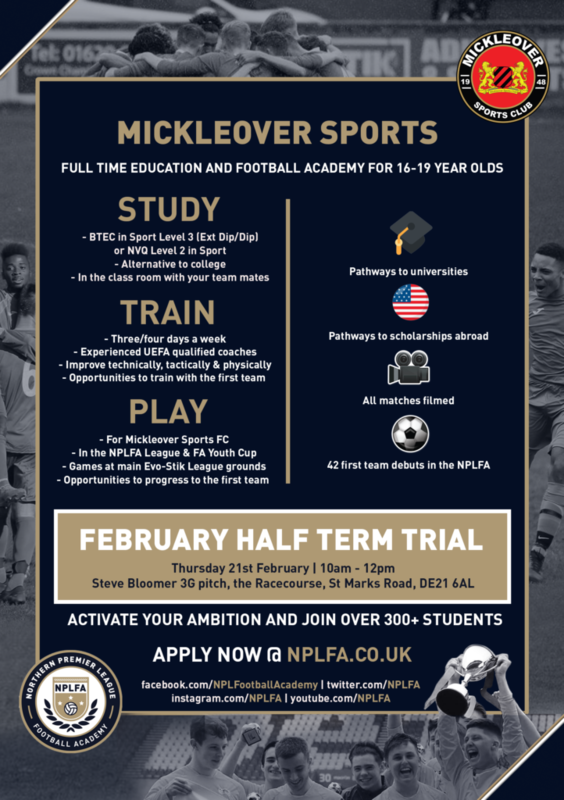 Now in its fifth year, the Mickleover Sports ‘Education and Football Academy’ is an alternative to college and is ideal for any 16/17 year old who wishes to gain a great education and develop as a footballer at the same time. 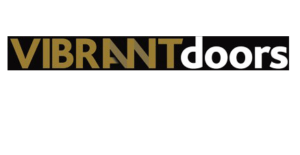 TRIALS are taking place in the forthcoming February half term holidays. At the Mickleover Sports Academy you will study, train and play full time.